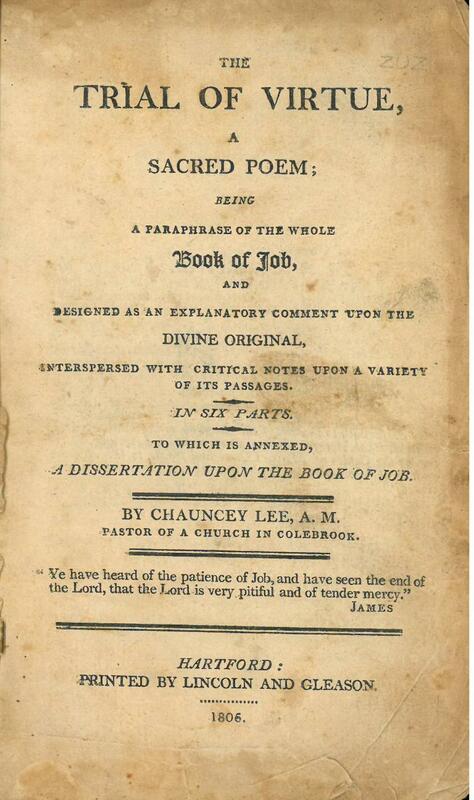 For sample verses from the translation by Chauncey Lee, click here. Publisher: Hartford: Printed by Lincoln and Gleason. Facsimile: A facsimile is available on archive.org.